Just before the first trial involving Risperdal® (Risperidone) began in Pennsylvania state court, Janssen Pharmaceuticals – a subsidiary of pharmaceutical giant Johnson & Johnson – settled the case. According to Forbes, Johnson & Johnson may have rushed to settle the case to avoid massive publicity from trial testimony on the traumatic injuries – including abnormal development of male mammary glands – caused by Risperdal. Since this settlement, hundreds of lawsuits have been filed across the country, alleging major design defects and insufficient warnings on the label of Risperdal, Risperidone (generic), Consta® (injectable), and Invega® (rebranded). 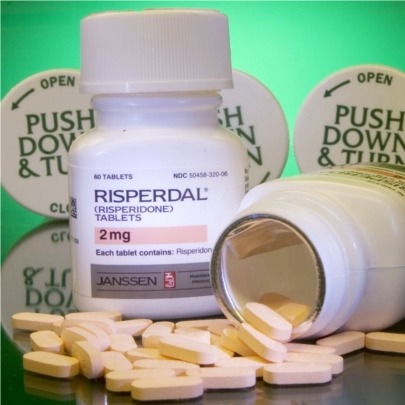 Risperdal is commonly prescribed for bipolar disorder (manic depression), schizophrenia, and irritability associated with autism. Off-label uses include attention deficit hyperactivity disorder(ADHD) and insomnia. The side effects cause severe psychological trauma in patients who already often suffer from mental health issues. Chronic gynecomastia (lasting 12 months or more) may result in scarring (fibrosis), making medicinal treatment much more difficult if not impossible. Severe cases of gynecomastia necessitate invasive treatment such as liposuction and even mastectomies. The original Risperdal label downplayed the risk of injuries associated with increased prolactin levels and failed to suggest that testing could be used to mitigate such risks. In a clinical study of children and adolescents with autism or psychiatric disorders other than schizophrenia or bipolar mania, 49% of patients who received Risperdal® had elevated prolactin levels compared to 2% of patients who received placebos. Also, 82 – 87% of children or adolescents with bipolar disorder or schizophrenia had elevated prolactin levels while taking Risperdal compared with 3 – 7% of patients on the placebo.